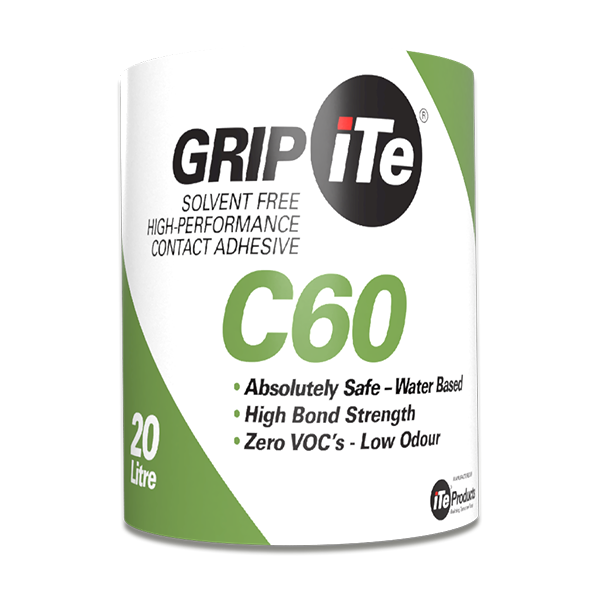 GRIPiTe V10, pressure sensitive permanently tacky acrylic adhesive is specifically developed for the installation of bitumen or other backed carpet tiles onto cement based substrates and access flooring panels. 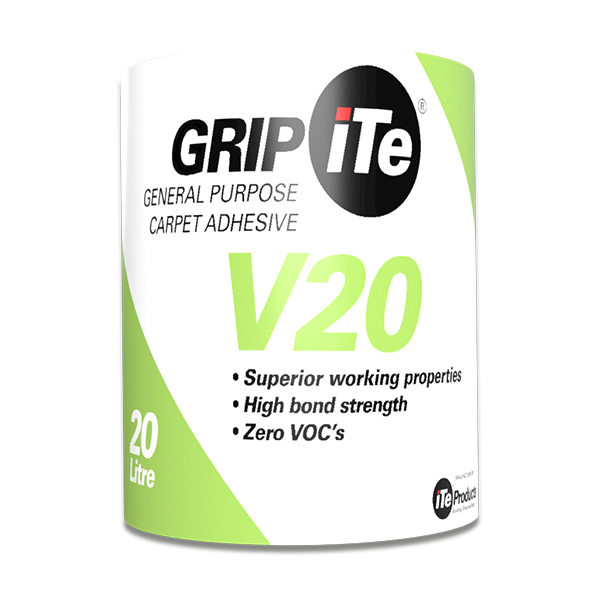 GRIPiTe V10 has rapid tack build up, and allows for the laying of the carpet tiles after thirty minutes, when its colour changes from white to clear. This improves productivity on site. Water-based, with no organic solvents, this adhesive is “green”and complies with all GBCSA requirements. 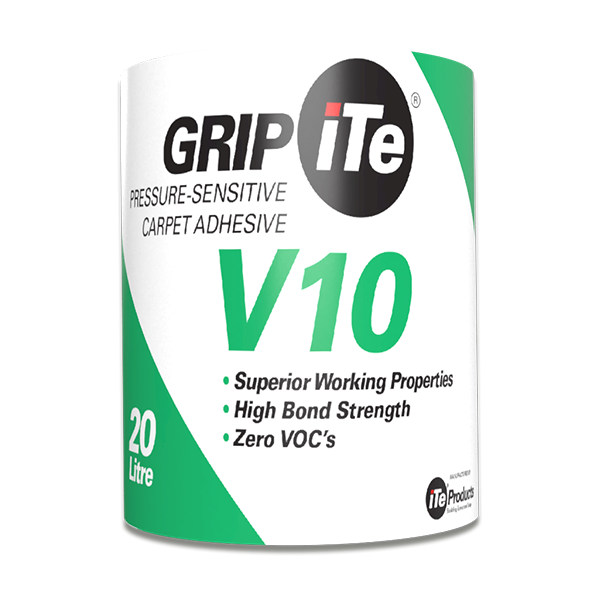 GRIPiTe V10 has a low odour, making it suitable for use in rooms adjacent to occupied area. The substrate must be sound, free of loose granular particles, excess dust and be dry. Any contamination of old adhesive, oils or wax, or any substance that can inhibit the adhesion of the adhesive to the substrate must be removed. Comply with the flooring manufacturer’s specification for maximum screed moisture levels. As the panels are non-porous and very smooth, the adhesive usage rate is excellent, and a mohair roller can be used to apply the adhesive. 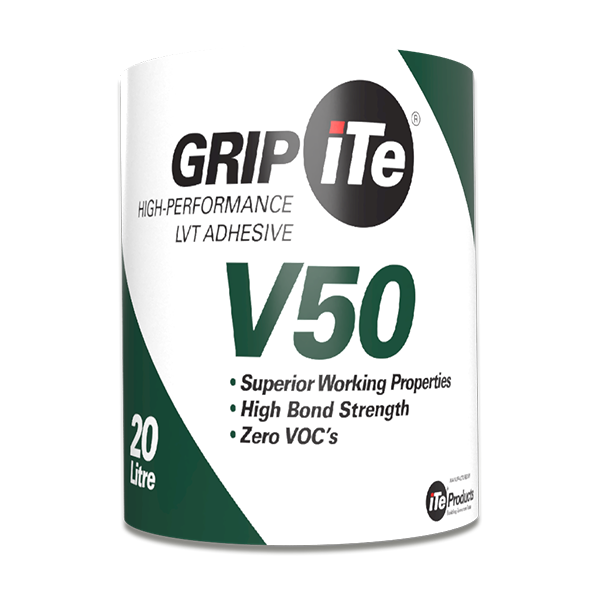 Stored in a cool dry store, unopened GRIPiTe® V10 will last for 12 months. Safety goggles and gloves should be worn to protect the eyes and skin from accidental exposure. In the event of eye contamination, the eyes must immediately be washed out with copious amounts of clean water, and medical assistance sought. It is recommended that overalls be worn to minimise soiling of clothing. The purpose of using pressure sensitive adhesive is to stabilise the carpet tiles to prevent lateral movement, but enable the lifting of tiles to give access to the access panels or substrate underneath and then replace the tile later, still retaining adhesion properties. The adhesive may be applied with a 1.5mm notched trowel and then flattened with a mohair roller to obtain a thin film of adhesive. On access floor panels, the adhesive can be applied with a mohair roller in a thin film. The adhesive will initially be white in colour, and then become clear as it dries to a tacky finish. When clear, the adhesive is ready for the installation of the carpets tiles. If the tiles are laid into wet adhesive, the backing of the tile may be damaged when lifting it out of the adhesive. The adhesive will take approximately 25 minutes to flash off sufficiently, depending on ambient temperature and atmospheric moisture. Before it has set GRIPiTe® V10 can be washed off with soapy water. Once dry, thinners or similar will be effective. GRIPiTe® V10 is applied at a rate of approximately 6m² per kg, depending on the porosity and roughness of the surface being primed and the trowel notch size. The recommended trowel notch sizes are 1,5mm (A1) “Vee’s” with 1,5mm intervals. The adhesive is suitable to be applied with a mohair roller. GRIPiTe® V10 is available in 5kg and 20kg plastic containers.